Home Analysis Can Barcelona end their Champions League curse this season? Luis Enrique left the Catalan capital of Barcelona knowing that he made the fans and the clubproud by bringing back the famous “treble“ back home to the Camp Nou. Granted, he just missed the chance to get the “sextuple” and do a repeat of Pep Guardiola’s legendary achievement back in 2009 but the main three were there for everyone to see: The domestic league, the Cup and of course, the most coveted of all of them – the Champions League. It’s been more than three years since Barcelona was a real contender for the mystical three crowns that only a few clubs have donned in the past. Three quarter-final dropouts in a row for a rather disappointing campaign in Europe was the main reason for their failure to do so. 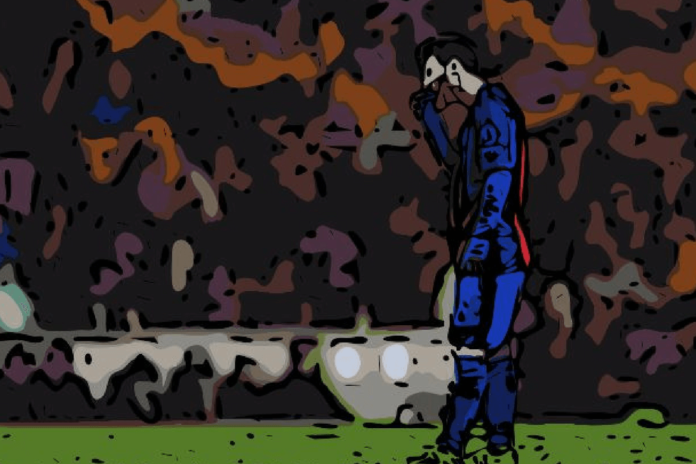 Ernesto Valverde has had his ups and downs, including the most painful Champions League exit for the Catalans in recent years, but as the season reaches its half point, the Cules of Barcelona are once again on the edge of their seats. Could it be that one of the more controversial Barcelona coaches might be heading down the path of glory as well, as his time with the club is also under a big question mark? 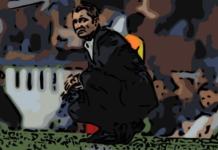 In his very first season at the Camp Nou, Ernesto Valverde successfully implemented his ideologies, principles and his very own style of play in Barcelona. Although this was not everyone’s favorite way to go, it sure was effective. The Catalans were one victory over Levante away from being the first Spanish “Invincibles” of modern football. This, however, did not happen but also did not affect the incredible achievement of completely dominating La Liga with Valverde as their debutant. The Copa del Rey was also a big success but it came with an even bigger cost. Not resting key players, and refusing to rotate meant that all the big guns were ready to demolish all and any opposition in their Cup run but also meant that they were firing blanks in the Champions League as Roma dealt them a blow that will probably never be forgotten or at least not in any foreseeable future. But learning from your mistakes is a must if you want to succeed and Valverde sure seems to be looking at things with different eyes as Barcelona are very much alive and kicking in all three competitions, and more importantly, look like one of the genuine favourites to win them. Of course, things have a knack of appearing one way on the paper but playing out in a complete opposite fashion once they transition to the “doing part” of the equation. Talking purely about the change in perspective (or priority), Valverde seems to have adopted a slightly different approach, and has decided to prioritize one competition over the other. Let’s take a look at all three and try to determine Barcelona’s current state in each of them. In Spain, people will always tell you that winning the league is the absolute priority and the biggest achievement for every club taking part in it. The rest of Europe would not say so as the beautiful La Liga has often been described as a two, or three-horse race at the very best. This year, this cannot be further away from the truth. Sure, the usual suspects are all around the top of the table but the situation could not be closer if it was written by the very best poets of old. Barcelona are still the most successful team in Spain in the last decade, leaving their arch-rivals Real Madrid and Atletico Madrid with only crumbs of the league title in recent years. So maybe winning La Liga is very much expected of the Blaugrana team but being crowned the champions of the 2018/19 campaign might be a slightly more difficult task than it meets the eye. One mistake, and quite literally every dropped point brings equal amounts of stress to Ernesto Valverde as his opposition could edge that much closer to the current league leaders. Such is the state of the Primera, and it’s a truly wonderful sight for all the neutral fans to see. Taking into account that Ernesto Valverde refuses to gamble much when it comes to standard weekend games, it’s safe to say that staying at the top once the final whistle of the season is heard is an absolute priority to the Ant. Nothing is to be taken for granted. Even at a giant of European football such as Barcelona. Bringing another La Liga crown back home would be a sweet moment for the Basque coach who looks to add to his collection, which is, coincidently, still under jeopardy to be suddenly closed as his future in the Catalan capital is yet to be decided. Five points are not a huge luxury in an environment as unstable as is the Spanish top flight at the moment so Barcelona better be on their toes and ready if they want to defend the title (again). Ah, the Cup… The only trophy most teams would rather throw under the bus than lift with pride. Unless, of course, it can be used to soften up a blow from a different competition that was not really a success. The same could be said about Barcelona’s last season, in which they re-established their reputation as Kings of the Copa but as the biggest “chokers” in the Champions League. Many were extremely quick to blame it all on the unnecessary emphasis on the Cup when more of it should have been put somewhere else. The treble feeling sensation everyone had in their stomachs turned into sickness in a blink of an eye and winning multiple Cup titles in a row suddenly meant absolutely – nothing. This year, however, Barcelona and more importantly, Ernesto Valverde, have recognised the Cup as the icing on the cake, and not the creamy chocolate in the middle. If we were missing proof of that so far, now it has arrived in the form of Seville, a difficult quarterfinal opponent Barcelona faced on their home turf, leaving some of the marquee names either on the bench or even as far back as Catalunya. The 2-0 loss in the heart of Seville without Lionel Messi, Jordi Alba and Sergio Busquets meant that Barcelona are ready to push Copa del Rey under the bus in order to get to European glory, and for once, it would seem like the right move. Still, if they are going to break the records once more and get the treble for the third time in their history, Messi and co. will have to work a bit harder to see the Copa under their belts for the fifth time running. At this point, everything seems to still be open but Barca are also leaning towards a Champions League/La Liga double instead of a potential treble while risking the security of the other, more coveted tournaments. The Alpha and the Omega of the European club football. The be all, end all competition that determines the most dominant squad, the best player and the most successful coaches in modern football, sometimes even by disregarding all the other domestic competitions. And how would it not? It’s the clash of Europe’s very best that puts skill, resilience and even a bit of luck to the test in almost every battle from the start until the finish. Barcelona are always dubbed as one of the favourites by their reputation only but in recent years, they’ve been all but up for it. Still, this campaign has Champions League written all over it. From the first game until the knockout stages, Barcelona have looked determined and Valverde seems to understand that sacrifices have to be made in order for this to work. Even if it means risking a win in the League or even going as far as dropping out of the Cup, the European glory is the only piece of the puzzle that’s missing in his locker. And wouldn’t it be a magnificent way to go? If he is to leave soon, having the satisfaction of bringing the crown of Europe back to the Camp Nou would definitely make it all that much easier on him, and more difficult on the fanbase that is still very much divided on his mandate. So far, everything seems to be going just as planned: Key players are being rested in other competitions, Valverde’s reluctance to rotate seems to slowly be going away and besides, Lionel Messi has promised the fans that he would bring them what they most desire. If you are a Barcelona fan, you are always secretly (or openly) hoping and thinking “this is the year the treble comes back home.” We all thought the same last season, and hoped for it the season before, albeit a bit less. So how is this season any different? Valverde always said that he needed a smaller squad but one with great depth in order to properly rotate and make plans for the future. Strategy is a big part of modern football as star players will often not be enough on their own. The Ant have the latter part covered but is now looking to expand his artillery with the former aspect. The strategising has already begun and the early signs are as good as they can be: Barcelona are firing on all fronts and are looking more determined than ever to reach yet another milestone in their rich history. Personally, I wouldn’t be surprised to see the Copa completely sacrificed in favour of the Champions League but at the end of the day, compensating has never been the Catalans’ style. The Blue and Red capes are coming, and Europe best watch out. Are Barcelona ready for their new treble? Absolutely. Is everyone else? Not quite. And that will make things all that much more interesting. 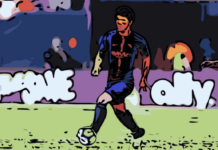 Next articleJust how indispensable is Ivan Rakitic for Barcelona?